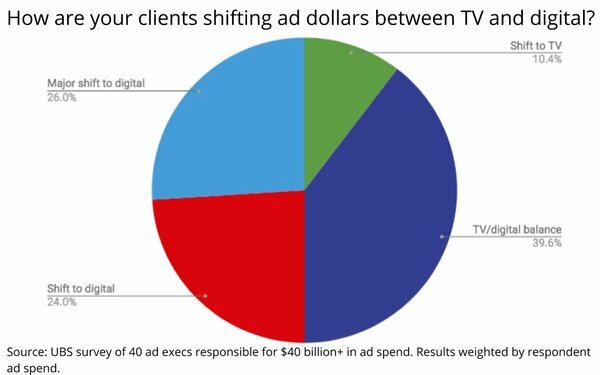 Interestingly, when money is moving from TV to digital, the respondents said it wasn’t necessarily going into digital video advertising. Roughly half of those respondents said they would consider shifting it into non-video digital formats, including social, search, etc. That said, UBS also reports that a panel of media buyers they spoke with indicated no major inflection point for TV advertising erosion in the near future, and if anything, strong demand for this year’s television upfront, especially for NBC.